California is divided into 19 pricing regions. Rates vary by region with rates generally higher in Northern California than Southern California. So your zip code is one of the two factors that determine your monthly rate. The other factor is your age. As you would expect rates increase with age. The rates for a 64 year old are 3 times higher than a 21 year old. The rates are the same whether you enroll on Covered California or directly from the carrier of your choice. There is one compelling reason to enroll on Covered California - it’s the only way to get a subsidy or reduced cost sharing. If your income makes you eligible for a subsidy you must enroll at Covered California. 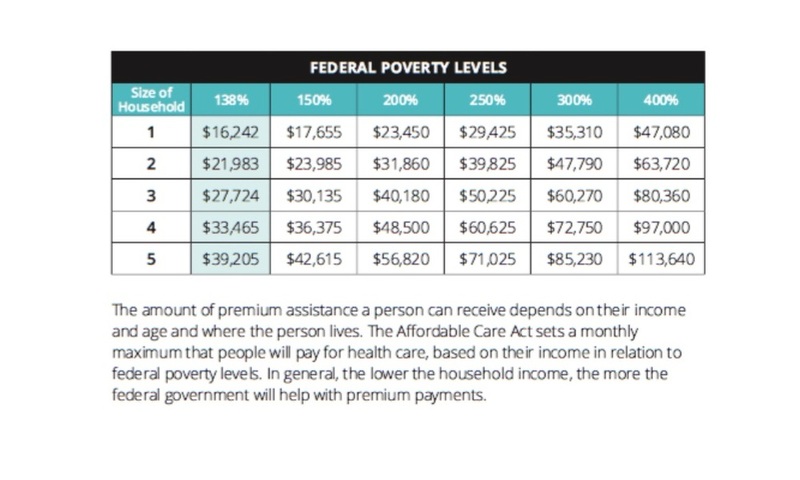 If your household income is over the limits shown in the chart below, off-exchange enrollment may be for you.